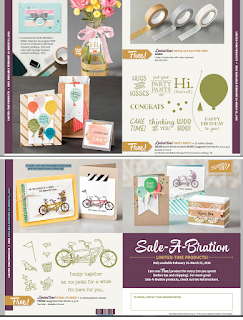 Sale-a-bration Countdown - Only 3 Days Left! and what better way to celebrate than with a Balloon Bouquet? Balloons are always fun and a bunch of them is even better. This card, made by Rachel Durtschi, features balloons from a set called Party Pants. 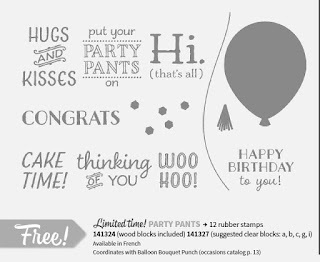 Party Pants is a fun set with lots of useful sayings for birthdays and other celebrations. Check out the sayings in the image - which one is your favorite? 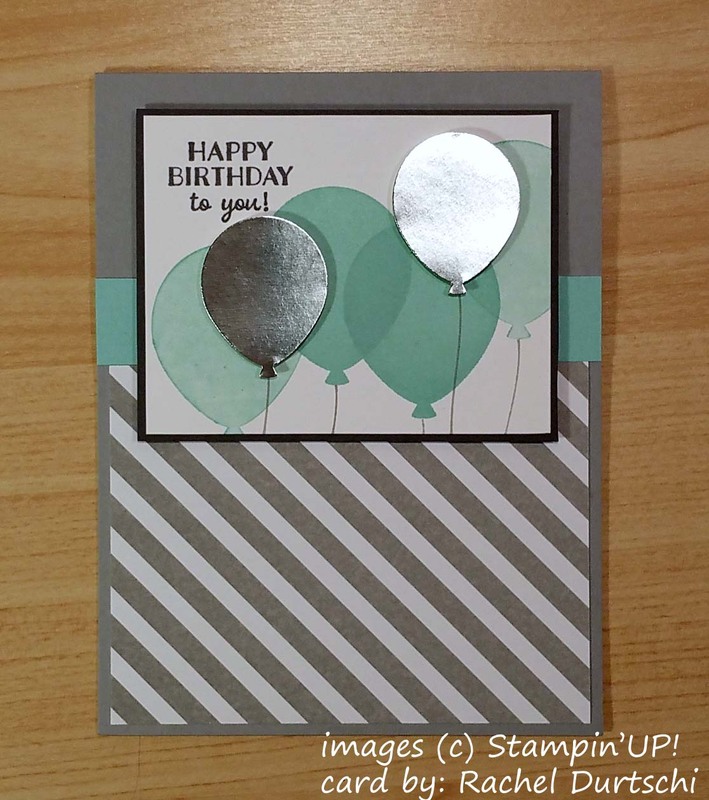 I'm loving the layered look on this card it really has a 3D look of a bunch of balloons. Rachel used Stampin'' Dimensionals to raise the Silver Foil Balloons. 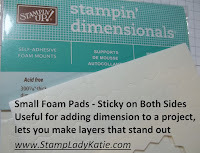 Every stamper should have a pack of dimensionals in their adhesive drawer. You get 300 in a package and believe me, once you discover the magic these babies make on your project you'll never be without a package or 2 on hand. 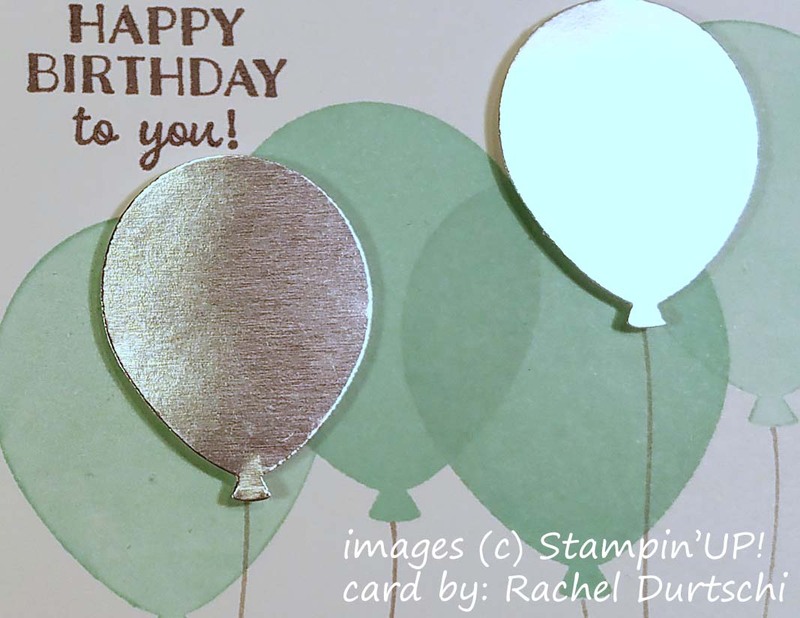 I also like the way Rachel stamped the balloons. See how she stamped one on top the other. 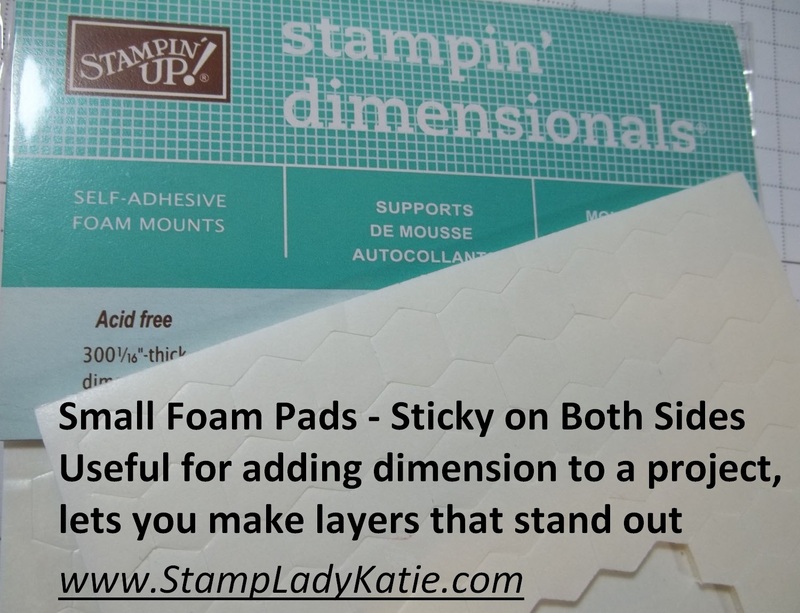 This little technique also adds to the dimensional look of the project. Balloon Builder (you can make some really cute animal shapes with these. Party Wishes - the matching punch is part of a pack of 3 really cute tiny punches. I love the little candle! This one comes in either clear mount or wood mount. 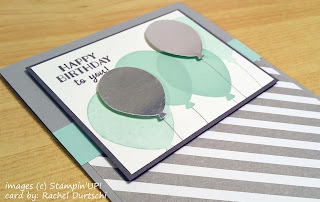 Celebrate Today - is a big round balloon that makes some awesome hot air balloons. The matching product is a set of dies. This week I'm counting down the days till the end of Sale-a-bration. Did you notice the Party Pants set that Rachel used wasn't on the list of available product? Thats because you can't buy it - its FREE with a qualifying purchase. But there's only 3 days left. Thursday is the last day of Sale-a-bration.